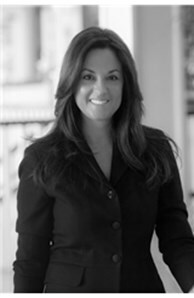 Originally from Ohio, Denise began her career as a real estate agent in 2004. Her business model is simple yet effective. "I am hardworking and do everything I can to ensure my clients' success. I am honest with high ethical standards and uncompromising integrity. Whether the transaction is with a first-time homebuyer or that of a luxury property, Denise tenaciously protects her clients, keeping their best interests at heart. She is a savvy negotiator committed to helping her clients experience a positive outcome. According to Denise, clear lines of communication throughout the real estate process is essential for a successful client-agent relationship. Denise is a lifetime member of the Million Dollar Real Estate Association, has obtained certifications in GRI (Graduate of Realtor Institute) and ABR (Accredited Buyer Representative), and has been awarded the Coldwell Banker International President's Circle - Team. She is consistently a top-producing agent within her office and the Baltimore metro area. Denise resides with her husband in Bel Air. She's an accomplished equestrian, plays golf, and loves to travel and exercise.